Amie joined Highcroft Veterinary Group in June 2016 as a veterinary nurse focusing on nurse clinics. 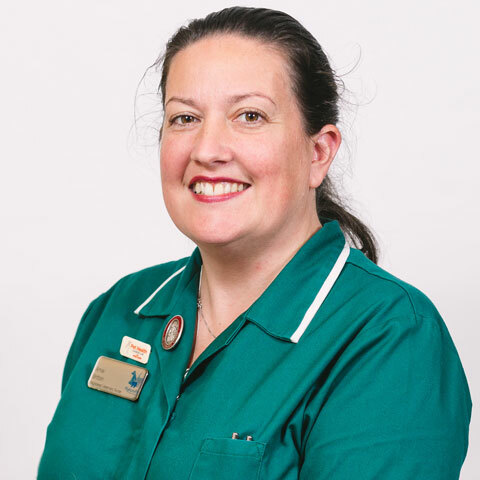 She qualified from Langford in 1999 and has since gained additional qualifications including the Royal Canin Pet Health Counsellor, the MiAcademy Clinical Nurse Practitioner and the Blue Cross Pet Bereavement Advisor. Amie has also gained Level 2 in British Sign Language. Outside of work Amie enjoys spending time holidaying with family and friends in their caravan, walking, attending live music gigs, and the occasional glass of wine!